JUPITER LINES UP WITH THE MOON on the evening of Monday, March 21, 2016. Many people think of Jupiter as a far-away planet, known only through NASA photos. But the fact is, Jupiter is one of the brightest “stars” in the sky, and visible nearly every single clear night. The Moon swings past Jupiter and all the other planets as it follows its monthly cycle of phases. If you have clear skies, take a look at bright Jupiter on Monday night. 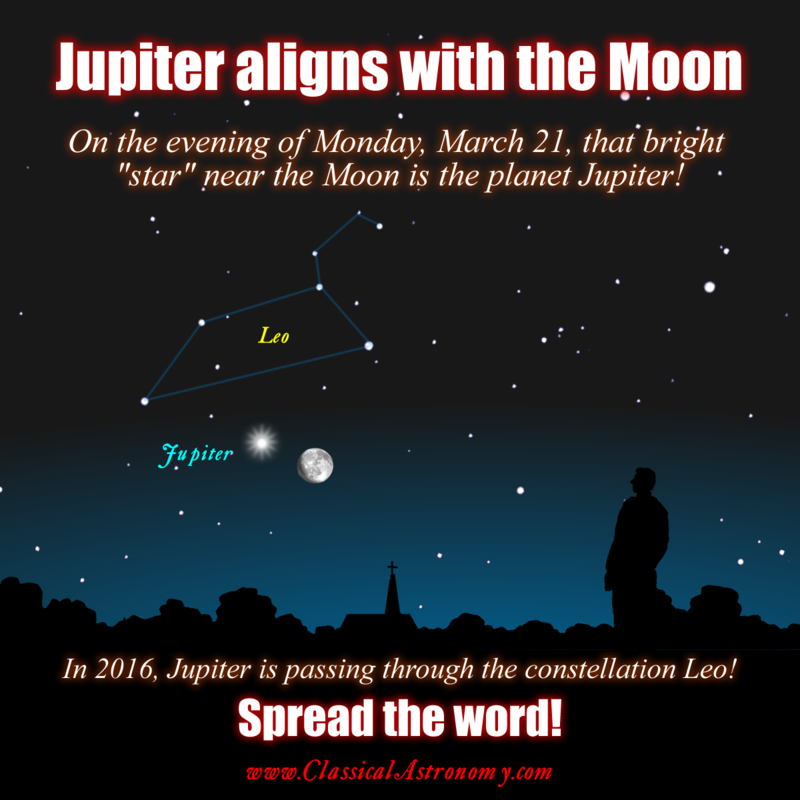 « The Moon Passes Jupiter – Tuesday, February 23!